The key to marketing success is effective and influential communication with the intended audience. Think of the differences in the way you might communicate with a teenager in comparison to the way you communicate with the elderly. Everything from word choice to imaging to mode of advertisement can affect your marketing success. As a home care agency, you are well aware of the importance in conveying the reliability and security of your services. Here are some ideas that will help your agency beat the competition via excellent marketing. The search for senior care is a sensitive process, and most families will respond best to accountable and accessible agencies. By using a robust home care software such as ClearCare, you are able to advertise the features that add the accountability such as telephony and real time updates. You can also point to the accessibility of top of the line home care systems that offer family member logins for your clients. As families search for the best care for their loved ones, they will be attracted to these advanced features of your home care software. Attracting new clients is not only dependent on advertising the strengths of your business, but also on your communication with them. When you use an advanced home care system such as ClearCare, you will be able to seamlessly keep track of all contact with individuals and referral organizations. Customer relationship management is a huge draw as you grow your business, and is efficient and reliable using home care software. Maintaining contact with these sources is made easy when records are carefully kept. 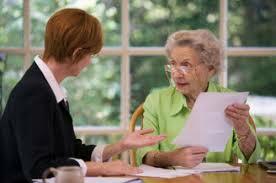 The language and mode you use when marketing to senior citizens can be highly influential. This may involve clear, simple language, the use of images, the use of social media, and any other modes that your agency has had success with. Believe it or not, seniors are some of the fastest adapters to new social media. Families searching for home care are also likely social media users, so it’s important to get the word out about the strengths of your business. Marketing home care is a specialized process that depends heavily on the target audience. As families look for care for their loved ones, make sure to market the features of your home care system that make your agency hard to beat! Derek enjoys spending time with family running road races, has completed 6-half marathons, mountain biking, and anything to do with baseball or the outdoors. Want regular updates by email? Subscribe today!